Student loan deferment lets you temporarily suspend making payments on your student loans. Many loans automatically come with a 6 month deferment period upon graduation (usually to allow an individual time to find employment). This applies to most federal student loans, including Stafford Loans, PLUS Loans, Graduate PLUS Loans, and Federal Consolidation Loans. 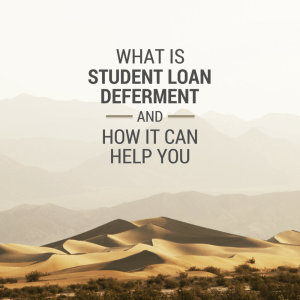 If you have a subsidized loan, interest does not accrue during deferment. It does accrue, however, if you have an unsubsidized loan. If you are thinking about deferment, there are many programs available to you for which you may qualify. Some of the programs also overlap with Student Loan Forgiveness. An example of this is the Peace Corps. 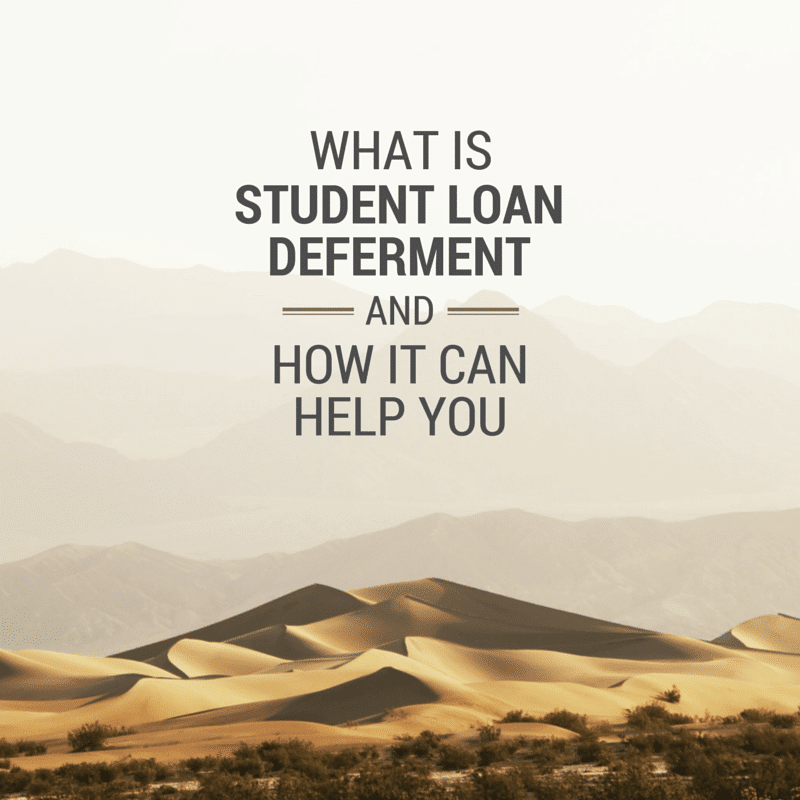 Not only do you qualify for deferment, but you can also have portions of your loan forgiven all together. Loan deferment is designed to be temporary, so make sure that you are still making arrangements to pay back your loan. If it is a federal loan, it cannot be eliminated through bankruptcy. Here is the full list of reasons for student loan deferment. If you are in the reserves, you may qualify if: You are serving full-time for at least a year or are serving under an order of national mobilization. You are working full-time and your total gross monthly income is less than or equal to the larger of the monthly federal minimum wage rate or 150% of the poverty guideline for your state. You can find out the poverty guideline here: Federal Minimum Wage and Poverty Guideline. You must teach full-time in a public or non-profit private elementary or secondary school in a geographic region, grade level, academic, instructional, subject matter, or discipline classified shortage area, as defined by the U.S. Department of Education. You must be registered with a public or private employment agency if there is one within 50 miles of your permanent or temporary address. All deferment programs listed above are designed to be temporary. Also, with all federal student loans, it is important to remember that they cannot be discharged in bankruptcy. Also, while in deferment, if you have an unsubsidized loan, you will still accrue interest which must be paid. Some of the programs above also may allow you to qualify for Student Loan Forgiveness. There are many ways to get student loan forgiveness, and it should be something that you consider, as it is free money. Please check out my article on Ways to Get Student Loan Forgiveness. Finally, as with all items relating to your student loans, you should contact your student loan servicer immediately, and see what options you have available. There may be other programs available beyond what is listed here. Great analysis/information on the subject. That is the great thing about federal loans….actually there are a few things I like about federal loans (not that I have taken advantage of any of them and I hope I never will). Excellent breakdown Robert! Knowing your payment options can minimize costly penalties – great resource for out of college grads!